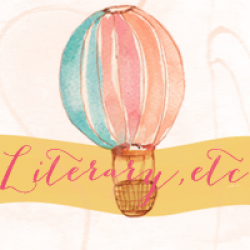 Literary, etc is an eclectic blog where we talk & review books, films, & whatever strikes our mood. I know a few readers will be turned off when they read the synopsis about Lexie sleeping with her stepbrother. Most will view it as a taboo subject, but in reality it does happen. I knew a girl in high school who fell in love with hers although they didn’t grow up together. When I read the synopsis for Lisa Desrochers’ A LITTLE TOO FAR, I was intrigued. When the opportunity came to review it for a blog tour, I couldn’t pass up the chance. Narration is first person via Lexie and we get to experience Rome through her. She’s a good narrator and I often felt as if I were in Rome with her experiencing the food, sights, and smells. If you’ve visited Rome, you’ll easy fall into place with memories of your own travel as you read. It’s pretty evident Desrochers knows art and some readers might be overwhelmed with the amount of art history. I’ll admit I was bored in some places, but then again I’m the type to see an art exhibit in under 10 minutes. Character development is a bit weak, but mostly with Lexie and Trent. I wanted to see her grow as a character, but at times she frustrated me. I think it has to do with the Catholic guilt and as a Catholic, I know what is and how it feels. Even though she goes to confession and admits to sleeping with Trent, she doesn’t let go of the guilt. I realize it’s not an easy thing to do. I did like that Lexie was independent and driven. She wanted that internship for the summer in Rome and would do anything to obtain it. Trent is difficult for me to assess because he’s not in the picture entirely. We kept hearing from Lexie how great Trent is and how in sync they are, but I didn’t feel it. It is apparent they care for each other and have a good relationship, but we didn’t have enough of him to make a proper assessment. Then we have Alessandro who was well developed and it was easy to see why Lexie was comfortable with him. We have a few secondary characters that make an appearance including one of Lexie’s friends and I won’t go into details because I don’t want to spoil things. All I will say is, I wish I could be a fly on the wall when an important conversation takes place between them. There’s nothing wrong with Desrochers’ writing ability. I commend her for tackling a taboo subject with both Trent and Alessandro. Unfortunately, it just didn’t work for me. I debated with the rating between a three and four and in the end, decided on a three. The reason? We spend so much time with Alessandro and getting to know him. While I liked Desrochers’ writing and the interaction between Lexie and Trent, I didn’t feel as if they belonged together. Trent often felt like the odd man out and he’s off trying to live his life as Lexie moves on in Rome. Even when Lexie sent him text messages, they were very short responses and they didn’t communicate often enough. When we had scenes with Trent it was Lexie going out of her way to approach him. It was difficult to feel anything for Trent. It’s important in a romance to feel that connection with the hero, otherwise it just doesn’t work. Throw in the other person who does spend a little over 75% with the heroine and it complicates things. In the end, Desrochers doesn’t give us anything to make us dislike Alessandro. If you’re a fan of New Adult, you probably will enjoy Lisa Desrochers’ A LITTLE TOO FAR. If you’re unsure, download a sample and see if you’re interested enough to continue. While, A LITTLE TOO FAR didn't work for me, I am looking forward to reading Alessandro’s story and cheering him on.